North Carolina State University will offer its first industrial hemp course in May 2019. 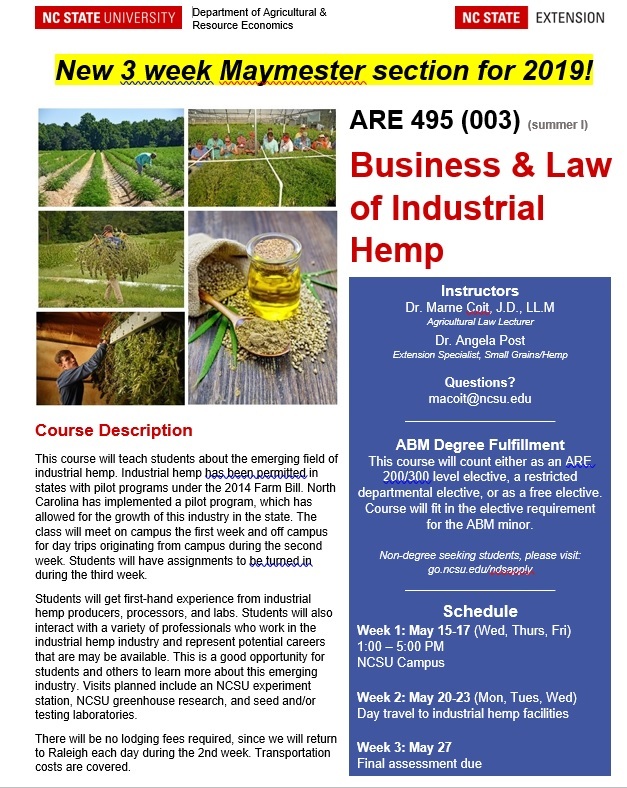 The course is called, “Business and Law of Industrial Hemp” and will be a short, intensive 3 week course offered during Maymester. Maymester courses offer immersive teaching experiences and are great for students who would like an alternative to taking courses during the summer sessions and regular academic year. The class will meet on the main campus for 3 afternoons the first week and off- campus for day trips, originating from campus, for 3 days during the second week. A final project will be due during the third week.